Instead of being the end of the good old EU days, Brexit may just be the beginning of Britain’s new productive relations in Asia. FROM the start, arguments over Brexit had been skewed on several fronts. Mainstream international media tends to be negative about Britain’s exit from the EU. The ills of withdrawal are often seen to overshadow the benefits. Since a majority of Britons voted for Brexit for distinct reasons, why do media reports fail to portray its benefits – whether substantive or perceived – at least half the time? This may be due to corporate media interests, since EU regional integration favours them over those of small and medium enterprises (SMEs) disproportionately saddled with the costs of EU regulations. There is also the secondary causality factor, or “opprobrium by association”. For example, Donald Trump – seen as inhospitable to migrants from minority communities – mistakenly endorses Brexit for shutting out immigrants, so those who consider themselves more liberal on immigration policy reject Brexit for being “xenophobic”. EU membership in fact discriminates in favour of mainly white European migrants and job-seekers, against those from other continents and even Commonwealth countries. Disentangling itself from the EU allows Britain to form new associations and develop old ones with other countries independently. Prime Minister David Cameron and former Defence Minister Dr Liam Fox mentioned the Commonwealth countries as being among them. Third, the media disinclination to Brexit may also be caused by the lack of quantifiable benefits, real or anticipated, readily shaped into prime time sound bites. It is much easier to cite the trade volumes Britain may lose in Europe than the greater democratic prerogatives that Britons would enjoy. Yet even this does not explain the common bias against Brexit. The anticipated or presumed losses, however detailed in numbers, are no more than projections and extrapolations since Britain has yet to leave. Since both the costs and benefits of Brexit are equally notional or hypothetical, they should be entitled to equal time. But pro-Brexit hopes, aspirations and promise are not entertained anywhere as much as anti-Brexit doom, gloom and warnings. Even champions of Brexit have been distracted from their primary task in having to defend their position against critics. They might have argued that Britain’s best years were before joining the European project, while many an EU country has seen its worst years after joining it. The reasons for the rise and fall of European powers are complex and need not directly implicate the EU. But the fact that for decades “Europe” has failed to arrest and reverse the decline of once-mighty colonial powers seems to testify to the EU’s limits. For now the bigger questions are: must Brexit mean assured decline for Britain, and are there no silver linings at all? EU ideology aside, Brexit can have tangible benefits and some are already emerging. On July 7, the Wall Street Journal reported that the plunge in interest rates caused by Brexit has produced a spike in US mortgage refinancing. Mortgage rates have fallen along with long-term rates. An index of refinancing activity for the week ending July 1 rose 21%, the highest in 18 months. On the same day, Associated Press reported that European stock markets rallied in anticipation of the US Federal Reserve holding off on raising interest rates. The lower rates may hold until next year. Politically, British-US relations are likely to improve as well without a European “filter”. Their “special relationship” is unfazed by Brexit and may grow in the absence of continental encumbrances. British Secretary of State for Business, Innovation and Skills Sajid Javid is already on a five-nation tour to discuss new and improved trading arrangements. His first destination was India, which has huge investments in Britain. India’s growth is no less than China’s at some 7%, at a time when all other emerging economies are slowing. 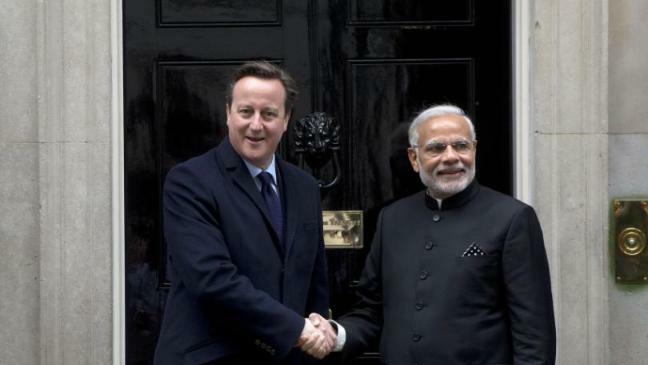 India is already the third-biggest foreign investor (fdi) in Britain, and may soon tie with France for second place. Over the last decade the number of British companies operating in India grew 300%. Today, more than 800 Indian companies in Britain employ well over 110,000 people, while British companies in India employ about 691,000 people. All of this is set to grow on both sides. Other Commonwealth countries in South Asia are Bangladesh, Pakistan and Sri Lanka. Although many Commonwealth members are small with little economic heft, the major countries in South Asia are in it. The other countries on Sajid’s list are China, Japan, South Korea and the US. 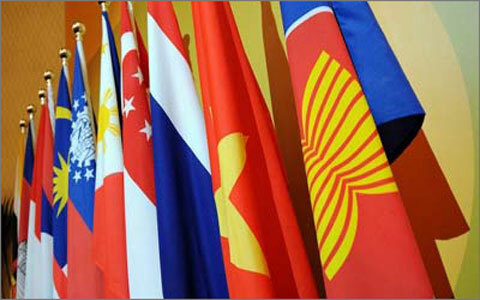 All major economies in North-East Asia are covered, including the world’s second- and third-biggest. Despite the relative decline in China’s growth data, it is still the world’s most promising economy over the longer term. Vastly improved trade with China remains the grand bargain of many developed countries, particularly those in Europe. As the jewel in Britain’s mercantile “crown” for centuries, trade with China is not to be underestimated. It was the prime reason for Imperial Britain’s involvement in the “Far East,” including Borneo (Brunei, Sarawak, British North Borneo or Sabah) as a convenient way station for sailing ships to Chinese ports. Centuries ago, European countries were so strong that they competed among themselves for overseas territories as colonial possessions. Today, the EU is desperately holding them together to prevent many an individual slide into history’s abyss. As a region, modern East Asia is the hub of global economic activity when it was once divided by various European imperial powers. After an initial focus on North-East Asia, post-Brexit Britain may soon consider building on its links with South-East Asia. Of the 10 ASEAN countries, four had been part of the British Empire with three of them in the Commonwealth today. Other ASEAN members such as Thailand have also had centuries-old trade with Britain. However, in upgrading its ties in this region, Britain should avoid the mistake of France in the 1990s.Depending narrowly on nostalgia in the Francophone countries of Indochina to boost its regional influence, Paris found itself irrelevant as the rapidly developing region passed it by. During the Cold War, Soviet influence meant the older French-speaking generation had been replaced by Russian, then later German speakers, with technical training sourced in East Germany. Few Francophiles have survived. Today, the CLMV countries are more interested in learning English for better progress in a globalised world. Meanwhile, the US “pivot” focuses on militarism rather than economics. In the colonial era Britain led Europe in carving out the largest expanse of overseas territories and possessions. More recently, it again led Europe in signing on as a founding member of the China-led Asian Infrastructure Investment Bank (AIIB). Now, Britain has struck out again on its own to exit the EU, whether or not other member nations follow. The impulse remains to act distinctly and uniquely based on its perceptions of its best interests. A “Brivot” to Asia may now be in order for Britain. As with Brexit’s concern over immigration, it is about exploring new vistas, not shunning contemporaries by retreating into the past. Through the AIIB and later One Belt, One Road, Britain could be instrumental in forging vastly productive linkages between East Asia, South Asia, Central Asia and Europe. That could help revitalise Europe in a way no EU country could have imagined. By then, Brexit would be fully vindicated. Posted in ASEAN Economic Community, Asia, Britain-China Relations, Diplomacy, European Union, Foreign Affairs, Geo-Politics, India, Japan, The Eurozone, Trade and Finance, Trade and Investment. Malaysia’s public universities have dropped completely out of the World University Rankings maintained by the Times of London. Universiti Kebangsaan Malaysia was ranked 87th in the top 100 Asian rankings in 2013, but has since fallen out. Not a single Malaysian university made the top 100 Asian rankings. The collapse of higher education in Malaysia has grown so marked that World Bank economist Dr Frederico Gil Sander recently said the state of the system is more alarming than the country’s considerable public debt. The talent needed to develop the Malaysian economy is not being produced. It isn’t just the Times survey. Malaysian public universities have also shown mixed results in other surveys like the QS rankings,where three Malaysian universities rose slightly while Universiti Teknologi Malaysia, Universiti Kebangsaan Malaysia, International Islamic Universiti Malaysia, and Universiti Teknologi MARA, all slipped. Not a single Malaysian university made the top 100. According to the QS ranking profiles, Malaysian universities have lost significant ground in academic reputation and tend to be weak in research, with no Malaysian university even reaching the top 400. Public Universities Vice-Chancellor/Rector Committee Chairman Kamarudin Hussin, also Vice Chancellor of Universiti Malaysia Perlis (UMNIMAP) claims that the ranking methodologies favor older, more established universities. Yet many universities within the top 100 Asian universities were established relatively recently. Hong Kong University of Science and Technology, ranked 7th was established in 1980, Nanyang Technological University, ranked 10th was set up in 1991, and Pohang University of Science and Technology, ranked 11th, was established in 1986. In addition, a number of universities from countries that are not democratically, governed like Sharif University of Technology (43rd, Iran), Isfahan University of Technology (61, Iran), Iran University of Science and Technology (69), King Fahd University of Petroleum and Minerals (71, Saudi Arabia), and King Saud University (72, Saudi Arabia), all made the top 100 Asian university rankings last year. Kamarudin accepts that Malaysian universities have “many issues that must be resolved…. (and) there are plenty of oversights that must be fixed”. However, unfortunately, he didn’t mention what they are, or offer any solutions. Probably the tone Kamarudin used in his article hints at the first problem – the view that authority takes precedence. Kamarudin asserts that academic freedom exists, but should be subject to the views of the so-called “majority,” which could be read as authority. In August last year, Kamarudin was one of the strongest opponents of students attending the Bersih 4 rally, threatening disciplinary action such as suspension or even expulsion of students who attended. Supressing independent thought is counterproductive to creativity, critical thinking and problem solving, the very mindset that Malaysian universities seek to develop. Among the characteristics required are people who are knowledgeable and have the right to choose. Malaysian universities begin to lose the plot where their leaders are glorified with unnecessary ceremonies that make a mockery of academia, and tend to dominate the persona of universities, rather than act as facilitators for people to excel. 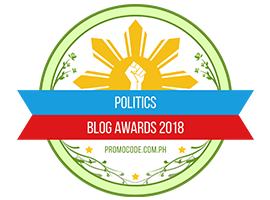 This leads to unnecessary expenses such as lavish dinners with highly paid entertainers to celebrate this or that event, this award or that. Some of these dinners are very extravagant, costing up to hundreds of thousands of ringgit. Vice Chancellors make lavish trips both domestically and internationally, with no apparent benefit to the universities except for MOUs that are never acted upon. This is in a time when university budgets are being slashed, the minister has directed university management to be frugal and seek funds outside government allocations. The waste goes much further. The Malaysian Auditor General’s 2012 report, for instance, cited Universiti Malaysia Sabah’s (UMS) mishandling of its computerized maintenance management system. After the university spent RM400,000 between 2008 and 2012, the Auditor-General found that data was not keyed into the system and the person responsible for managing the system had no IT knowledge. The cost of three building projects ballooned 8.9 percent at Universiti Tun Hussein Onn Malaysia (UTHM) due to delays and inexperience of the contractor. The Auditor-General further found at Universiti Malaysia Perlis (UNIMAP) that funding allocations didn’t take into account the basic needs of students in the planning and construction of its main campus. Despite the allocation of RM438.64 million for setting up UNIMAP under the 8th Malaysian Plan, only 25 percent of the campus plans have been completed, which university management blamed on budget constraints. What is even more startling according to the report is that UNIMAP made the first payment to the contractor working on the permanent campus before the contract was fully negotiated and signed. The report further states that workmanship is extremely poor, cement in many places is cracking and crumbling, roads and parking areas are inappropriate and much of the equipment supplied is not functioning. According to the report, from 2002 to 2012 the university had no dormitories and has been renting them and ferrying students to campus instead, at a cost of RM138.4 million. In 2015, Unimap arranged with the Proven Group of Companies to supply additional privately owned accommodation at Titi Tinggi, some 35 km from Kangar and 40 km from the main campus at Ulu Pauh. Details of the agreement have never been made public, but UNIMAP will pay rent for 15 years for the use of this accommodation, but ownership will continue to remain private. The Unmimap-Proven venture is contrary to the Education Ministry’s vision of universities earning income through hostel rental to students. Thus in the medium to long-term the university will be restricted in the ways it can earn revenue to fund future budget cuts. Similar issues exist at Universiti Malaysia Kelantan (UMK) where the lack of student accommodation has led to severe overcrowding at hostels. Mismanagement and waste is one issue, but outright corruption is another.Any significant time spent within Malaysian academia will produce stories about corruption. However, most, if not all of these remain hearsay, as there are few reports of corruption to higher authorities and very few charges are ever made, with no convictions. Just some examples that have come to the writer’s attention are consultancy companies run and operated by faculty, with deans and deputy deans as directors and shareholders. Students have told the writer in confidence that examiners at master’s and PhD level ask outright for payments to pass. A particular dean of a new faculty used a company owned by proxies to supply equipment. University cars have been sent to workshops for repairs that don’t exist. Academics are paying for articles to be published in academic journals without peer review, and the heavy use of research grants for questionable travel is common.University staff tend to be fearful of their superiors, most extremely hesitant to blow the whistle on their peers and superiors. In an interview with a state director of the Malaysian Anti-Corruption Commission, the writer was told that the MACC would provide a neutral and discreet place for those who wanted to remain anonymous and report corruption. However those few that came forward faced hurdles with the MACC that were almost insurmountable, such as being requested to file a police report which would jeopardize anonymity. A major problem is leadership. Vice chancellors tend to be domineering, not allowing room for dissent from their own faculty and university members. Often staff are selected on loyalty rather than merit. Strong Vice Chancellors can browbeat the university board and get their own way on operational issues, due to the transitory nature of university boards. Universities within Malaysia have become dominated by Vice Chancellors who are intent on micromanaging their universities. The strong power-distance relationships that develop between the leader and subordinates is powerful enough to destroy many of the management checks and balances that exist to prevent mismanagement and even abuse of power. It’s time to re-organize Malaysian public universities from the top down. Not only is new leadership needed, but heavy reform of the organization so that these institutions should function as they are meant to. All importantly, vision beyond self-glorification is desperately needed by public university leadership. Posted in Asian Unversity Ranking, Auditor-General, Books, Britain-China Relations, Civil Rights, Economic Performance, Education, Governance, Human Rights, Intellectual Development, Justice, Law and Order, Leadership, UMNO-BN. Despite Britain’s role as the closest US ally, its leaders have surprised the world by surging forward in relations with a rising China. FOR centuries, relations between Britain and China have been undulating, rising rather more than declining. In that time, Britain has been more ­anxious to penetrate Chinese markets and forage for what China has to offer than the other way round. The super-gala treatment that President Xi Jinping and Mrs Xi received in London ­during the week was not necessary to prove the point, but it helps. There was Xi, royally seated next to the Queen, in the gold-trimmed horse-drawn royal carriage parading through London and shown on television screens around the world. The visiting presidential couple also lodged at Buckingham Palace, the Queen’s official residence, during their trip. Clearly, this was no ordinary state visit. The Queen called the visit “a defining moment”, Prime Minister David Cameron called it “a golden era”, and Chancellor of the Exchequer George Osborne called it “a golden decade” for their bilateral relations. An array of gilded items were spread among the vast gilt-edged dining chairs for Xi and his host, the Lord Mayor of London, at the second banquet after the Queen’s. Gold, the auspicious colour in Chinese culture, went well with the red of the carpet and the Chinese flag.And Britain was only too happy to oblige. This was Xi’s first state visit, coming a full decade after his predecessor’s, Hu Jintao’s. But British leaders had been somewhat more proactive. Only a few years ago, hiccups in relations occurred after British officials stumbled over such sensitive issues for China as the Dalai Lama. After the ruffles were smoothed over came the slew of mega business deals. Britain wanted to ensure those deals were on and Xi’s state visit would seal them, so Osborne was dispatched to Beijing last month. To make doubly sure he made a side trip to Xinjiang, the alleged epicentre of China’s human rights violations, to talk trade rather than human rights. China critics condemned that move. But it paid off for Britain in Xi’s high-powered four-day visit and all that it represented and contained. On Tuesday, China’s Central Bank issued its first offshore renminbi bond in London. On the same day, Cameron appointed Chinese tycoon Jack Ma to his business advisory group. The next day, deals were signed amounting to £40bil (RM260bil), generating nearly 4,000 jobs in Britain. And this was only the beginning. Critics tend to underrate the importance of business success for both Britain and China. They are perhaps the most enduring of the world’s major trading nations, Britain historically and China in the past and the future. Even before becoming “the workshop of the world”, Britain had embarked on a glo­bal empire that would span centuries. It lost its sparkle after the Second World War and decolonisation. British interest in East Asia had centred on China, particularly trade with China. Even its presence in Borneo – Brunei, Sabah (British North Borneo) and Sarawak – were only as a staging post for trade with China on sailing ships and steamships. The British phrase “not even for all the tea in China” is a measure of one’s resistance to temptation. And tea was only one of many traded items from China. With the colonial period, parts of China were tugged and torn by European, Russian, US and Japanese imperial powers. China fought and lost two “opium wars” and suffered unequal relations with Britain. Then they agreed on the return of Hong Kong to China in 1997. But even decades before that date, the buzz in Britain was what would happen to Hong Kong after the “handover”. Hong Kong had long been known as the world’s classic capitalist enclave, while in the 1990s the West still regarded China as a communist state. Hong Kong was in quiet panic, as celebrities and stars worried what would happen to them and their work under communist rule. Many contemplating migration purchased homes abroad from Vancouver to Kuala Lumpur. Jackie Chan bought a luxury condominium in Damansara Heights.At the time, an Englishman from off the streets in central England put that crucial question to me: What would happen after China “takes over” Hong Kong? I replied that Hong Kong would instead take over China in many ways that mattered. Soon after 1997, Deng Xiaoping’s credo of “it’s glorious to be rich” was abundantly clear throughout the land, often excessively so. In time, anxieties over the handover were soothed, and it ceased to be an international issue. After moving to the United States and working in Hollywood, Chan returned to Hong Kong and even began work in China itself. His trajectory has been instructive and symbolic. 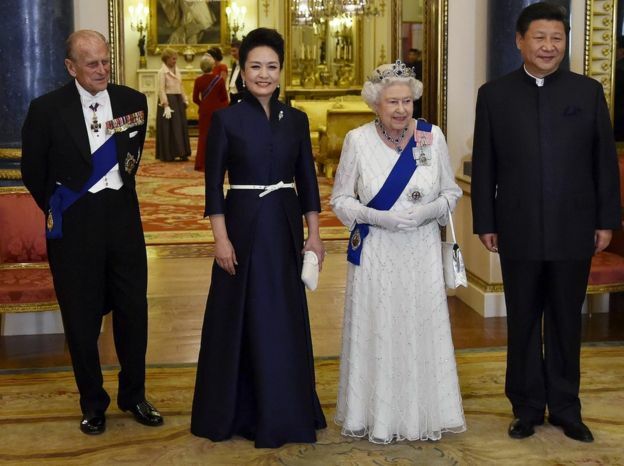 So his presence as an invited guest at a reception for Xi in London’s Lancaster House on Wednesday evening said it all. While London and Beijing are only too happy to see their relations on the upswing again, their critics have been at work. They have called Britain’s grand welcome for Xi fawning and embarrassingly servile. Western criticism comes from two broad angles: the US and Europe. Both are not without their own self-interests. In the European Union, Germany has been an early and the most extensive investor in China. Then earlier this year, Britain stole a march on all other Western countries by signing up as an early co-founding member of the China-led Asian Infrastructure Investment Bank (AIIB). After that, other US allies joined in: several EU countries including Germany, as well as Australia, New Zealand and Singapore. The US, which tried hard to stop the trend, had only Japan and Canada as recalcitrant holdouts for company. Many Western and pro-Western countries are happy enough to do business with China in the lead, in the process helping China grow. This is despite strategic thinkers knowing that the AIIB is also a means for extending China’s reach through Central Asia and Russia to the West. This takes the form of the infrastructure-­heavy Maritime Silk Road and the One Belt, One Road projects offering connectivity between East Asia and Europe. They possess both economic and strategic advantages. US critics of Britain’s close partnership with China have something of an identity crisis. They have a long list of complaints against Beijing, yet they cannot stop their own corporations doing increasing business with China. Worse still, the glittering welcome accorded to President and Mrs Xi in London compares too favourably with the one in Washington just weeks before. Beyond some formal diplomatic niceties, President Obama reportedly threatened to impose sanctions on China. He also remains committed to the largely military “rebalancing” in China’s backyard, while keeping China at bay with the Trans-Pacific Partnership proposal dividing East Asia. Whether the British or US approach to working with China is better, and for whom, also depends much on which is more enduring. Britain had presided over a global empire for centuries. China, a global superpower before, has millennia of experience to draw on. Both countries share the approach of making trade their primary purpose, with any political or military posture being secondary to protect those economic interests. The US in contrast opts for a forward military posture abroad, with any economic interest secondary by comparison. And despite Pax Americana being only 70 years old, it is already showing signs of wear. Posted in Britain-China Relations, business, Diplomacy, Economics, Foreign Affairs.